How to Prepare for a Job Interview - A Guide to Success! A job interview can be a very stressful prospect, but it doesn’t need to be. Preparation is the key to confidence and success. You don’t have to spend hours and hours, but you do need to be willing to invest some time. Make no mistake, time is the difference between success and failure. Don’t ever assume you can ‘wing it’. Instead, assume the competition has done their homework and outfit yourself with the tools to beat them! Ask yourself the seven questions below to give yourself that crucial edge. Be sure you are setting realistic expectations for yourself. The company, salary, or status attached to a role may be very attractive to you, but do you have the capability and commitment? Applying for a position with more scope or responsibility is absolutely fine—even if you have never held a position at that level before—as long as you are willing and able to push yourself to meet the demands of the role. Just don’t waste your time and set yourself up for disappointment by applying for a job that’s out of your reach. Read the essential requirements in the job specification. Some qualifications can be substituted for experience, but others cannot. Be ambitious and push yourself outside your comfort zone—but be realistic. Any prospective employer will expect you to do a level of research about their business prior to the interview. Not to mention you should want to know about the company you might be joining. It takes very little time to visit a company’s website and gather information. You don’t need to download a 150 page copy of last year’s accounts (unless you’re applying to be their Chief Financial Officer! ), but as a minimum you should understand the company’s key business activities, the services or products they provide, and who their customers are. Whether you’re applying via an agency or directly to the company, you should have a contact you can speak to. Use them to find out more about the company. Employers will respect you for being proactive and it will boost your confidence during the interview! What Do I Want in a Workplace? It’s too easy to make the interview process all about proving yourself to the employer. However, it’s just as important to prove to yourself that your potential role and employer are right for you. The interview will be the best (and possibly only) opportunity you have to gauge this. You can figure out some of the company culture through your pre-interview research, but not all of it. If you get the opportunity to meet your prospective manager or have a tour the workplace, snap it up. These can be incredibly insightful, and either allay or confirm any doubts you might have about the company. But before you can even do that, you have to consider the kind of workplace culture you enjoy and the values you hope to find in the business. For example, moving from a voluntary or public sector business into a private sector, profit-driven company can be a stark contrast, even in very similar roles. It’s easy to get wrapped up in the pros of the job, so start out by deciding what you do and don’t want in a job—that way you won’t blindly accept a job that’s not right for you. These decisions cannot be undone and mistakes are costly for both you and your employer. It’s important to avoid finding yourself lost for words in the interview. Read the job specification carefully, then read it again. Understand completely what the job is and the skills and experience required. If you lack the desired qualifications, think about the experience you have that negates this. Write down specific examples of things you have done that demonstrate your competency in key areas. Devoting time to considering the job specification, will help you avoid drawing a blank when asked specifics within the interview. Also think about your personal qualities and interests. Your interviewer will want to see your personality and feel comfortable with you. There’s a good chance they will open the interview with “Tell me about yourself”. Decide on your response in advance to ensure you complement your business credentials and portray yourself in a positive way. Be ready to talk about your CV or resume, especially if there are any gaps in your employment history. Most importantly, listen to the questions and don’t be afraid to ask for a clarification. Where appropriate, tailor your answers to the role you’re applying for and don’t try to bluff, you’re easier to read than you think. Regardless of whether the opportunity comes during the interview or at the end, think about what you want to ask your interviewer. Questions could be about your potential role, the business, the culture, or the team you’ll be joining. There are no real taboos as far as subject matter goes, but think carefully about questions on salary or bonuses, as it could leave the interviewer with the sense money is your primary motivation. Avoiding ‘the money question’ won’t disadvantage you as there will always be an opportunity to negotiate salary later if you are offered the job. For help developing questions check out 22 Questions to Ask a Potential Employer During a Job Interview. However, the most important thing is to ask questions you genuinely want answers to, rather than using our questions as is. It will be obvious to an experienced interviewer because they’ll have heard them a hundred times. Use your questions as an opportunity to show your interest in the company and show off all the research you did. Be smart, clean, and professional, but comfortable. 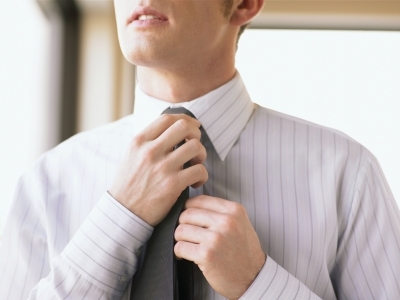 Your attire is a relatively small part of your overall presentation (even if it doesn’t feel like it! ), so relax. Think about the expectations and culture of the company. Is the dress-code very formal, or more relaxed? If you aren’t sure, go slightly more formal. The most important part is to keep your clothing, clean and neat so it won’t distract from the most important part: you! Don’t go overboard with your clothes, make-up, or fragrance. Instead, maintain eye-contact, smile, and give a firm hand-shake. First impressions really do count. You’ll be kicking yourself if your flamboyant bow-tie turns out to be the post-interview talking point, rather than the skills and attributes you tried so hard to sell. As little as possible! Don’t load yourself down with unnecessary clutter and leave your cell phone in the car (or at least out of sight and turned off). Make sure you take any documents required for the interview, such as a passport for evidence of identity or any certificates to validate qualifications, but try not to turn up with a load of paperwork that has not been asked for. Avoid taking notes or prompt cards into an interview. They break eye-contact, can result in wooden responses and most interviewers will find them a distinct turn-off. You can always glance at your resume to get you back on track, but if you have prepared well, everything you need will be fresh in your mind. Remember, you’ll only be talking about yourself and your experience and skills. You know yourself, so just relax and let the answers flow naturally. If you ask yourself all these questions and give proper consideration to the answers, you’ll be as prepared as you can be. The more prepared you are, the more relaxed (and confident) you’ll be. Having anticipated questions, you’ll provide better quality answers and have minimized the risk of being caught with anything unexpected. It will be clear to the panel that you have prepared—which is always to your credit. You’ll give yourself the best chance of success and ultimately you will walk away from the interview knowing, whatever the outcome, you did your very best! Now go get ’em and, as always, Evolution Coaching is here to help you every step of the way! Should you need help to prepare for a job interview, you can schedule an interview coaching session with one of our career experts!